Are you looking to put on a strength workshop? Are you a gym, a club or a sports team who wants to give your members or staff an amazing experience of strength training? We’ve delivered tailored strength workshops for a variety of clients. We’d love to help you do this too. A bespoke strength workshop can give both you and your members real empowerment and confidence. Even fitness professionals don’t know everything (we certainly don’t). So if certain strength skills really aren’t your forte, let us help you. 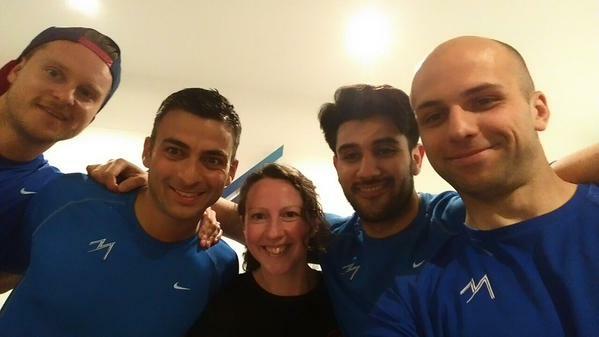 We can put together a bespoke curriculum for your trainers or members. We are skilled at hitting the right level – both in terms of knowledge and lifting experience of participants. We have given strength workshops to a range of people, from complete newcomers, to trainers with many years experience in fitness. Our clients value our expertise and are keen to deliver the best value education for their members and staff. Each business has its own particular needs and clientele. We’ll talk to you in detail about your participants and make sure that the strength workshop delivers on what you need. Rather than following a pre-determined curriculum that may or may not suit your business, we’ll make every second of your workshop count. “I wanted a coach from outside our club and really thought no further than Sally. Clear and concise with experience to get a point or the correct teaching cue across, she’s been ideal. The evening was planned well and executed to that plan. Crossfit London – WonderBar workshops: a series of 3 strength training workshops for women, aimed at increasing confidence in lifting for Crossfit London female clientele and others. 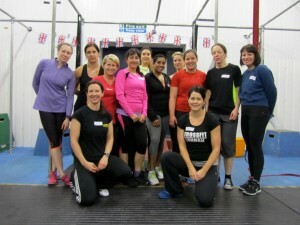 This workshop series was developed together with female trainers from Crossfit London as a joint venture. This workshop was an upskill event designed to introduce olympic lifting skills to the PT team.